The Foundation Program is designed to be the best possible introduction to the water. With a relaxed atmosphere, our Foundation teachers are specially trained to understand how babies develop and what their capabilities are in the water. They know just when to reassure and when to extend their tiny students so that parents have the joy of experiencing amazing results. 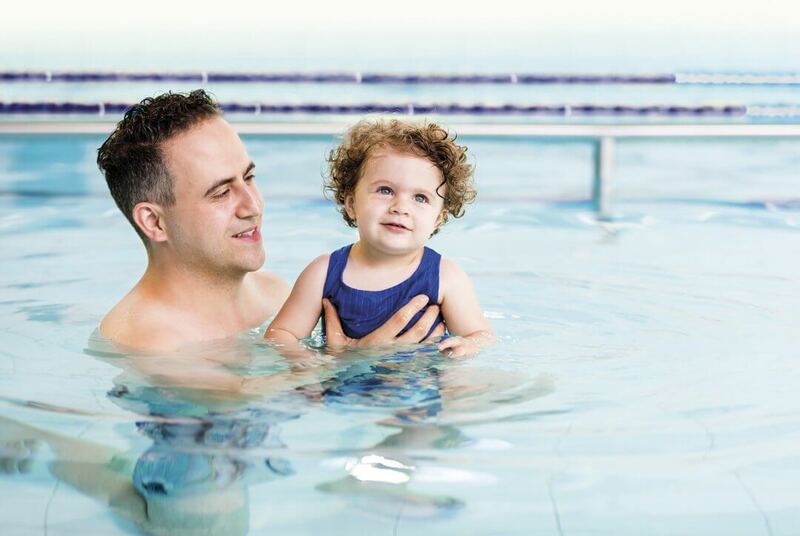 For many, swimming lessons can be the first activity you and your new baby can do together. But just the idea of trying to get out of the house with a tiny tot can be daunting, let alone trying to be on time for a swimming lesson! That’s why our Baby Play classes are flexible. Don’t worry if you’re a bit late or if the wheels fall off and you decide you need to leave early. Baby Play is all about introducing your little person to the nice warm water in a relaxed and supportive environment. We know it’s all the little things that make the difference, at Kingswim. The Foundation Program is designed to be the best possible introduction to the water. With a relaxed atmosphere, our infant teachers are specially trained to understand how babies develop and what their capabilities are in the water. They know just when to reassure and when to extend their tiny students so that parents have the joy of experiencing amazing results. At Kingswim, we’re here to make sure teaching your child to swim is fun for them, but great for you too. That’s why we have dedicated baby change areas, spares of all the important stuff, in case you forget something, and a highly trained and dedicated team of ‘baby whisperers’ who are expert in taming the toughest toddlers! We know it’s all the little things that make the difference, at Kingswim. So your little person isn’t quite ready to go it alone, don’t worry. For kids who need a bit more reassurance, the Kingswim Program has what is called TPC (Transition from Parent and Child). This special program helps to make the transition from taking instruction from Mum and Dad to listening to the teacher instead, so that every child starts the Independent program feeling safe and confident. At Kingswim, we try to make every part of learning to swim easy and comfortable for everyone. We never want anyone, kids nor parents, to feel stressed or worried about learning to swim and that’s why our TPC classes are a relaxed comfortable environment for kids who need a bit more time. Great for kids who may not have swam before, or those who are nervous on their own, or kids who are ready to move from the Parent and Child program but are still a bit young, kids can move through our TPC program at a pace that’s right for them. They can progress into the Independent Program whenever they’re ready. We find these few extra weeks can make all the difference. We know it’s all the little things that make the difference, at Kingswim. When can my baby start swimming? Research has shown that children who learn how to swim at a young age are reaching many developmental milestones earlier. It’s a wonderful experience that really can start early! We teach tiny tots through to big kids, with programs available to babies from 12 weeks of age. Is the pool warm enough for babies? To keep babies and children comfortable, we have a constant water temperature of between 32-33 degrees. For babies 3-6 months of age, we recommend a maximum time in the water of 30 minutes. Are your facilities family friendly? We’ve helped a lot of families in our time. So we know all the little things we can do to help make learning the essential life skill of swimming an enjoyable and meaningful experience for parents and kids alike. We have welcoming team members, family friendly change rooms, infant change areas and plenty of space for prams to make it easy for you to get changed once you’ve finished in the water. So yes, we consider ourselves to be very family friendly! What should we bring to Foundation swimming lessons? So your bundle of joy has finally arrived and you’ve just about got a handle on all the challenges that come along with it. By now you might be ready to brave leaving the house and Kingswim Baby Play and Parent and Child classes are a great way to start. After a sleepless night, a relaxing float in the nice warm water will make you both feel better. But being exhausted is not usually the best way to make sure everything you need makes it into the bag, so here’s a list we thought might help when you’re getting ready for the first time. All the usual Baby Bag stuff – Nappies, Wipes, Nappy Sacks, Change of clothes etc. Bathers for you both. Don’t worry if you’re not back to your photo ready bikini body, we are here to make you feel good. Plus everyone will be looking at your gorgeous new baby anyway! We know, it’s all the little things that make the difference, at Kingswim. We have been taking our 9 month old to swimming lessons at Kingswim and have found the small class sizes and professional teachers to be great. The whole centre, including the change rooms is kept toasty warm so that the littlies don’t get cold when they are out of the water.